A fall engagement session doesn’t HAVE to be all about autumn leaves, y’all! Kathryn and Coleman’s October engagement session was a warm, playful, and super stylish adventure in downtown Columbus. Their session helped me fall love with our little town all over again! I loved how Madeline and Thomas made a romantic getaway of their engagement session! They spent the weekend at Monmouth Inn, and we began their session in the garden of this beautiful antebellum home. The new green of spring and the first blush of the redbuds were just beginning to color the woods. It was truly a perfect day. Katy-Whitten's relaxed, backyard DIY wedding had love written into every detail. Plus there were donuts, sky lanterns, and the most precious flower girl and ring bearer EVER. Cowbell engagement photos forever, y'all. I LOVE them! MSU's campus is so beautiful in the fall! Jonathan and I loved walking the campus with Melanie and Tyler and hearing their memories of each special spot. They were separated by distance and the call of life, old dreams, dashed hopes, and new dreams, but they never forgot each other. She became a writer, a poet, a momma. He became a geologist and a traveller. But in spite of everything, these two found each other again. Here's a peek at a rainy day First Look at a lovely, rustic spring wedding at beautiful Southwind. This precious couple were married at the Hewlett Barn, and their First Look was full of sweet tears and happy laughter! Take a look at Mary Kathryn & Tyler's sweet winter engagement session at a family lake, featuring their sweet fur baby Joules and lots of sparkling sunshine! Y'all, I know I've said this before, but every time I open up a wedding gallery for the first time, it's like I'm opening up a treasure box. I know there will be so many beautiful moments in there, but I really don't know everything I will find! Jonathan and I both catch SO MANY lovely memories! So I'm doing something a little different for this "sneak peek" wedding post, something that I haven't done in a while. Here's my personal pick of a few images that just leapt out of Lightroom & into my heart this morning! I fell in LOVE with the pretty, pretty colors and rustic details of Tori & Justin's beautiful day, but since her sweet family are the proprietors of a wonderful local business, Magnolia Antique Mall, I wasn't surprised that it was a wedding full of darling details! I have so many more images that I'd love to share, but those will have to wait just a bit longer (here's a hint - did you see that SUNSET we had Saturday? Well, we did too, and I have some amazing bride and groom portraits I can't wait to share soon!) But until then, here's a little joy for your Monday! Congratulations, Tori & Justin! Our March weather may have brought some rain clouds across your day, but you two knew exactly what to do with those raindrops - DANCE in them! We absolutely love love LOVED how you two chose to celebrate the beginning of your new life as Mr. and Mrs. Bridgman. It was a perfectly joyful start to this new chapter of your life together! You know what I loved about this sweet engagement session? Well, besides Duke the adorable boxer, a.k.a. the"Wigglebutt"... And besides Tori and Justin's fun, laid-back, perfectly lovable personalities.... AND besides the AMAZING and PRECIOUS way that Justin proposed to Tori (we'll get to that in a minute!) I LOVED that this couple of cutie pie lovebirds decided to begin their e-session at their future home, which they were in the process of remodeling. Not only that, their future home has been in Justin's family for generations, AND this sweet little newlywed home sits in a corner of Justin's family's farm, which has - you guessed it -been in his family for years upon years. As we rode up and down the gravel roads and explored the fields and woods around McCondy, Mississippi, Justin had a story for almost every bridge, tree, and old homesite! Since I grew up on a gravel road and love to hear a good family story, I delighted in every moment of this session! Y'all, almost a year ago to the day, Justin surprised his beautiful sweetheart by proposing to her RIGHT HERE. How romantic is this, to write your proposal on the wall of the house you hope to share with the woman of your dreams? (He did a good job on that ring, too!) Mr. Duke is a very important member of the family, and just like his mom and dad, he loves to ride in the Polaris. He's very handsome and sweet and funny and very well-loved, and this photographer could have played with him all day! McCondy, Mississippi is FULL of amazing old barns, bridges, trees, and roads - Jonathan and I loved exploring with these two! Just as the sun was setting in the clear autumn sky, we stopped to spend a few moments near Justin's favorite tree. Justin and Tori finished up their lovely session with a few quiet, just-after-sunset photos. Jonathan and I loved every minute we were blessed to spend with them. It always makes a session extra special when the location is so deeply meaningful, and it made me fall in love with our wide open Mississippi farm country and wild old woods all over again! I can't wait to watch these precious hearts say "I do" at Southwind in Shannon, MS in three short days! Happy Wedding Week, Tori and Justin! You never know what March weather in Mississippi will be like. We've had so many weeks of sunny spring weather and BAM! just in time for Lane and Wesley's wedding day, winter came roaring back! But you know what? It really didn't matter, because this precious wedding took place in one of the more beautiful church sanctuaries we've ever seen, and their reception was at the wonderful, historic Heathman Plantation Commissary. Even better, Lane and Wesley were surrounded by the love of their friends and family, so all the cold rain in the world couldn't put a damper on their day! Here's a little peek at some of our favorite moments and images of their lovely day. Inside the quiet sanctuary of Indianola First Baptist Church, the stained glass windows glowed softly with light. Outside, raindrops spangled the roses. As the storm clouds gathered outside, Lane and her sweet maids spent the morning safe, happy, and warm being pampered at Merle Norman. These next two photos are dear to my heart because they're REAL, y'all. To be a bridesmaid is a high calling, and on the wedding day, you're a very busy person! You're an emotional support system, you keep track of the groom so he doesn't accidentally get a peek at his bride, you carry stuff, you pack stuff, you find stuff....in short, you help carry your sweet friend to the altar. I loved how Lane's bridesmaids surrounded her with support and love. And her little flower girls made sure she got plenty of hugs! Lane had a PRECIOUS First Look with her sweet daddy. Oh my goodness, there were happy tears everywhere! Meanwhile, the handsome groom was upstairs helping his groomsmen figure out their ties. Wesley's best man (who just happened to be his daddy) helped them get it all sorted out. Lane and Wesley had a very sweet moment together before the ceremony. I loved this idea! What a fun and special way to have a moment together without seeing each other! And then it was time to say "I do!" Here are a few precious moments from their ceremony. One of the little ring bearers wasn't sure about the acting required for this picture, but when he saw how much fun his friends were having, he came around! And now, I present the happy Mr. and Mrs. Weeks! Wesley couldn't take his eyes off his beautiful bride, and can you blame him? If you saw Lane and Wesley's engagement story (you can check it out here) you'll recognize their reception venue! They celebrated with their friends and family at the historic Heathman Plantation Commissary. Every inch was decorated beautifully... I wish I had enough room in this blog post to show you every single corner! (Check out the top right hand window in this next photo... Jonathan caught me at work!) It was SUCH a fun night! That beautiful old building was filled with music and laughter and so, so much love. And when you're in the Delta, you have BARBECUE for your reception meal! Oh my goodness, it was soooo good! Y'all, I have so many more precious moments I want to share! I am really trying to keep this post short and sweet, because I am definitely guilty of oversharing! When it comes to a beautiful wedding, I always have a hard time limiting myself to just a few photos. I'll end with these sweet moments from Lane and Wesley's First Dance... This photographer cried, y'all. Lane and Wesley's wedding hashtag, #beenwaitingforweeks, perfectly described the joy these two shared as they danced the night away. I'm so thankful that Jonathan and I were able to be a part of this day! Congratulations, Mr. and Mrs. Weeks! Oh, y'all. I am SO EXCITED for this weekend! We're kicking off our 2017 wedding season with precious Lane and Wesley's celebration in Indianola, Mississippi. I can't wait to witness their beautiful Delta wedding day! So to get the festivities off to a good start, here's a peek at their amazing engagement session on a gorgeous fall day at historic Heathman Plantation Commissary. (This place is so cool, Joanna Gaines would want to live here, I promise.) The Heathman Plantation Commissary has high tin ceilings, big big windows, vintage hardware... in short, everything you need to take adorable photos! I am so excited that we are going to get to see this place all decked out for Lane and Wesley's reception Saturday. Lane and Wesley brought their sweet fur babies. I think they perfectly represent the dynamic of the firstborn, middle child, and baby of the family! Guess who's the baby? After spending some wonderful time at the Heathman Commissary, we wandered around the local fields and farms, and found some wonderful old silos. This one was PERFECT. I'm telling you, Joanna Gaines would just DIE. Y'all, we were in the DELTA. So we just HAD to find a big old field for these sweeties, and we didn't have to look far! As the sun set and storm clouds rolled in, we had just enough time for some fun and dramatic evening light portraits. And Wesley got to finally put his hat on! So in just THREE SHORT DAYS we'll get to see these two Delta sweethearts say "I do!" I am so excited, and I can't wait to share the images from their beautiful day. Congratulations, and happy Wedding Week, Lane and Wesley! Candy-colored balloons, bright blue skies, warm breezes, soft green grass.... a bright yellow dress, and a sweet picnic full of hope, love, and memories... this pretty perfectly describes Joby and Thierry's anniversary session last summer! All the credit goes to Joby for planning out this fun, lighthearted celebration of four years of marriage. I loved loved LOVED everything about this day - this precious couple is near and dear to our hearts, I adore the movie "Up," the hills and fields near the old Winery are one of my favorite places, and.... balloons, y'all. Lots and lots of BALLOONS! These photographs make me homesick for summer. And for this hill. Here's to Joby & Thierry, and to all the beautiful adventures still waiting out there! I love sharing our photos on this blog for so many reasons... I'm all about celebrating the beautiful engagement and wedding seasons of our clients... I delight to honor courage, love, faith, and commitment... Plus, when the Mississippi skies are cold, gloomy, and gray, I love to look back and remember GREEN. So on this chilly, windy January afternoon, let's soak in these lovely moments from Jenny and Randy's engagement session at the Sam D. Hamilton Noxubee National Wildlife Refuge near Starkville last July. If you haven't had a chance to visit the Noxubee Refuge yet, it's beautiful any time of the year, but in the warm months it's a quiet, lush retreat for anyone who loves the outdoors. It was a lovely backdrop for Jenny & Randy's bright, creative, and gentle personalities. We've gotten to know this sweet couple over the past few years at our home church, Vibrant, in Columbus. Jenny and Randy serve & lead there so faithfully, in so many ways - they offer up their skills, creativity, and friendship on a daily basis. It always brings us a special kind of joy when the sweethearts we are photographing are our friends & brothers & sisters in Christ as well! This Monday afternoon was one of those it-might-rain-but-then-again-it-might-not July afternoons, full of misty, soft light. We had this little stretch of highway all to ourselves. Jenny was such a good sport about letting us try to photograph her jumping! I loved how these turned out! Jenny and Randy had the sweetest first date - they went kite flying! I was so excited that they wanted to commemorate that day by flying a kite in their engagement session. However...sometimes props just won't behave! Our kite wouldn't fly at ALL! When that happens, you just have to roll with it... Jenny and Randy are both film buffs, so they knew EXACTLY what to do when I asked them to show how sad they were about their kite! As thunder began to rumble in the distance, we explored other beautiful spots at the Refuge. 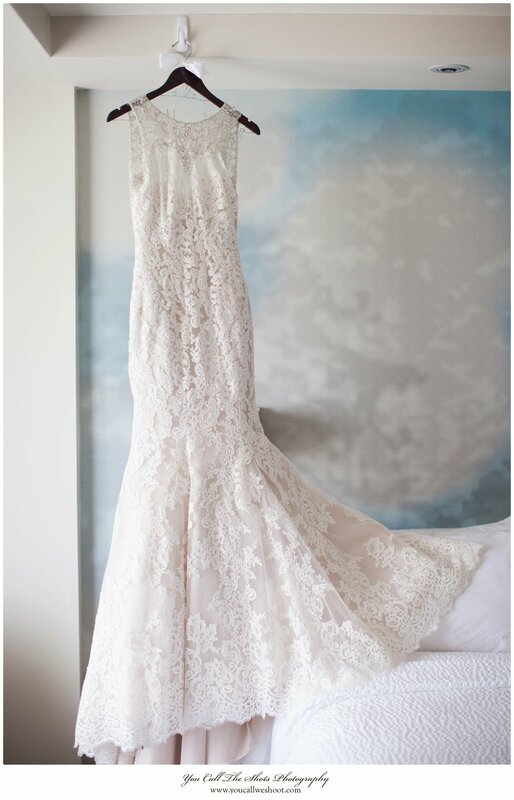 I LOVED the sweet lace-backed dress Jenny wore for these pictures. Only a few short weeks after we visited the Refuge, Jenny and Randy said "I do" in a beautiful ceremony in Los Angeles. Jonathan and I are VERY glad that they are back in Mississippi, bringing fun, creativity, and love to all their friends and family in Columbus! Jenny and Randy, it's been a blessing to get to know you as friends, and we're excited to see what new adventures God has in store for you as Mr. and Mrs. May! Can I tell you something? When I first met Kandace and Tré, I thought to myself, "Oh my goodness, these two are going to have the most ADORABLE babies one day!" :) These two sweethearts are not only complete cutie pies, they're so sweet and in love, they are quite literally wrapped up in one another. 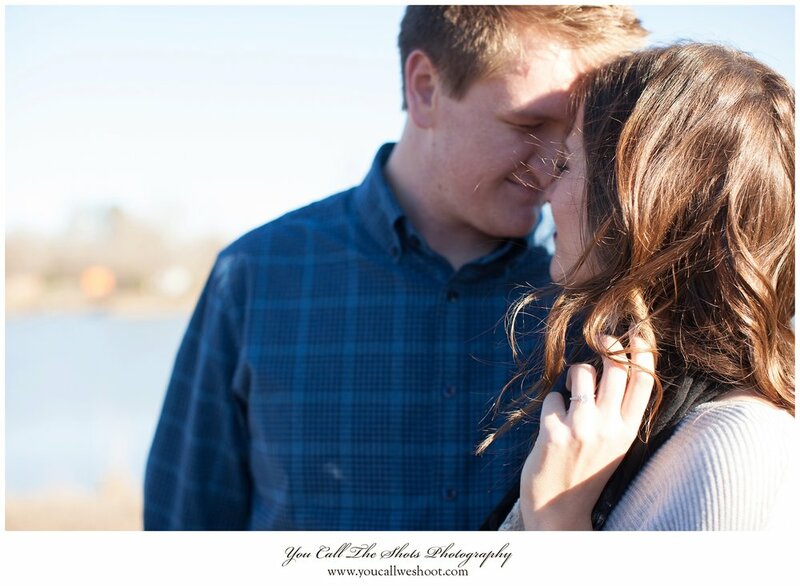 They had to be, since it was FREEZING the day of their early spring engagement session! Kandace and Tré have been patiently waiting to say "I do" for two years while they both worked on earning degrees & completing their internships. Jonathan and I mope dissolve have withdrawals don't like it if we are apart from each other for two days, so when they told me that after their engagement, they had be separated by their studies for two years, this photographer's heart was deeply touched. But guess what?? This Saturday, their waiting is OVER! These patient, hardworking sweethearts are saying "I do" at the Hewlett Barn and Stables in Starkville, and we can't wait to witness their joy! Don't let the bright sunshine fool you - it was a very, VERY cold, windy day on the campus of MSU when we took these precious photos! These two were real troopers! The weather made for lots of snuggly photos. <3 Tré is so much in love with this beautiful girl. He's a complete romantic. You should read what he wrote on their wedding website at The Knot. No, really, go read it. Every woman deserves a man who loves her like this: Kandace and Tre's Love Story These two have the BEST laughter and the most beautiful smiles! Kandace and Tré, it has been a blessing and privilege for us as we have gotten to know the two of you and work together this year. We can't wait to watch the beginning of your life together as Mr. and Mrs. Smith! The waiting will be at an end, and a beautiful new beginning is in store for you this Saturday! September weather in Mississippi is tricky. When you wake up in the morning, it feels cool and crisp, like a lovely fall day... by noon, it's 100 degrees Fahrenheit...and by 5 pm, it's thundering and lightning! It's just hard to plan an outdoor wedding for this time of year! Samantha and Kanaan's plans for an evening ceremony by the pond Saturday were washed away by the rain showers that moved in that afternoon. However, Sam's sweet family immediately put Plan B into action, and the ceremony was moved into the rustic wood-paneled walls of the Auditorium. So while the atmosphere outside may have been damp and humid, the atmosphere inside Plymouth Bluff Center was full of love, cheerfulness, and tender concern. Because of their love for one another and their families' love for them, Sam & Kanaan's wedding day had EVERY. SINGLE. THING. it needed to be lovely... and here's a sneak peek to prove it. <3 Oh my goodness, these precious ruffles on the neckline of Sam's dress just KILLED me. And just look at this gorgeous bride. I MEAN. HELLO. And of course Samantha had a lovely petal posse to back her up! Two sweet sisters and a best friend, who could ask for more? And speaking of petals, just take a look at her gorgeous bridal bouquet! And here's her handsome groom, Mr. Kanaan Ford. The guys had their own share of challenges on the wedding morning, besides the rain... I believe I heard something about someone losing their keys?? I often think that wedding days are just a microcosm of life - we make our plans, we hope for the best, but you know what? In the end, we learn to thankfully receive what we are given from God's hand, and we learn to see the joy and beauty even in the messy, didn't-go-as-planned moments of life. And Sam & Kanaan did just that, on their beautiful, rainy wedding day. Just look at these handsome gents! I LOVED the little ring bearers' suspenders, boots, and bow ties! Soon it was time to gather in the little wood-paneled auditorium of the Plymouth Bluff Center. Friends and family found their places, and beautiful music filled the room. The beautiful bride came in on her daddy's arm, and her smile was all the sunshine Kanaan needed to see. But he shed a few "raindrops" of his own. <3 They may not have been surrounded by the early fall woods or by the warm light of a September afternoon, but Sam and Kanaan had something much, much better. They were surrounded, covered, and protected by the perfect beauty of the love of God, and they were wrapped in the warm love of their family and friends. And guess what?? It stopped raining long enough for us to step outside and take these beautiful bride and groom portraits! And then it was time to celebrate with music, a delicious dinner, and CAKE. The way these two looked at each other when they were having their First Dance.... no words. After celebrating with their loved ones, Sam and Kanaan dashed away through the rain to begin their new life as Mr. and Mrs. Ford! No, these are not special laser sparklers - the rain and some lens fog combined to give a spectacular lighting effect as the bride and groom made their getaway! I thought it was very cool that the weather gave these two some special effects for their exit! Sam and Kanaan, it's been such a blessing for us to be part of your journey to your wedding day. Life is full of sunny days and rainy days, but now you two are shelter for one another! The Bride & Groom also wish to extend special thanks to Rebekah and Rachel Stoll for providing the beautiful ceremony music, and to and Carole and Kathryn Pearson for all their help coordinating and decorating. Here's a peek at a sweet summer wedding in Starkville, full of roses, lace, and Mississippi State memories! This is what I remember from Sarah & Robby's wedding yesterday. I remember the light, lively laugher of bridesmaids behind closed doors and the tangy, rich smell of rosemary. I remember an ethereal wedding gown glowing with light. I remember the low, rippling notes of a dulcimer filling a quiet church. I remember a nervous and devoted groom who, determined not to catch an accidental glimpse of his bride before the ceremony, asked to be BLINDFOLDED before he entered the church. I remember quickly handwritten love notes on notebook paper, flying back and forth between two sweethearts. I remember how the room lit up when Sarah put on her flower crown. I remember groomsmen quick to smile and laugh, and I remember sudden drops of tears like passing June showers. I remember this moment. And this one. And this one. I remember a church filled with prayer and hope and expectation. I remember how Robby closed his eyes when he saw Sarah for the first time, but just for a moment, as if to make sure it wasn't all a dream. I remember sweet songs of praise lifted up on high to the One who makes all things new. I remember pastors whose love for this couple spilled out in their smiles. I remember a first kiss. I remember joy. I remember a sweet brand new wife who, minutes after being married, was worried about her new husband's new shoes hurting his feet. I remember tables filled with sweet pies of every description. I remember laughter and joy and best wishes for the new Mr. and Mrs. lifting up to heaven with clouds of bubbles. I remember hot June evening air, bright green leaves, and the low rumble of thunder not very far away... but where these two were, the sun shone bright. Sarah and Robby, your wedding was a beautiful celebration of God's love. The lovely halls of Bethlehem Primitive Baptist Church were filled with joy and hope and a sweet kind of peace that comes from unity of spirit and purpose. We feel so blessed and thankful to have been with you at the beginning of your journey as husband and wife, and we know that your life together will continue to be a sweet offering of fragrance to the Lord. Beginning and the end... How great is our God! Sing with me, how great is our God!" Bouquets and Flower Arrangements created by the Bride's mother, Cynthia, and friends. The flowers in the bouquets and garland are a collection of blooms grown by the bride and her mother and wildflowers gathered just before the wedding day. The Bride and Groom also wish to thank the McCool family, Leigh Murphree, their families, and everyone who baked and brought pies for the Reception! There's something wonderful about the wild, sweet Mississippi woods in the springtime. For a few brief weeks in March and April, every morning shows you a new flower, a new bud, a new shade of green. I couldn't be happier when Sarah and Robby told us that they wanted to celebrate their engagement in the sunlight-dappled woods and paths of Plymouth Bluff Center. The shady, quiet glades and trails and bluffs along the old riverbed of the Tombigbee felt like the perfect setting for these sweethearts. And this Saturday, a little church in the woods near Echola, Alabama, decorated with wildflowers, filled with the sweet music of a dulcimer, and lighted by the warm light of June, will be the perfect setting for them to say "I do." I've known Sarah's family for years, every since I was a brand-new, very nervous art teacher at the YMCA, and her beautiful momma Cynthia became a dear friend and mentor. Sarah was one of my very first students, and even when she was very young, I was taken by the very intentional way she approached her art lessons. She crafted beautiful, carefully rendered drawings and sculptures, and her delight in creating was an encouragement to me. I always thought of her as very kind, a little shy, and a very thoughtful and serious-minded young woman. Most importantly, everyone that spends time with her knows that her faith in Christ as her Savior is the foundation of her life, so when she told me that she had met her future husband, I knew the man who won her heart had to be very, very special. Sarah and Robby met for the first time at a meeting of the MSU Prayer Furnace in the summer of 2014. Even though Sarah was splitting her time between Columbus and Birmingham, they became friends, sharing prayer requests in the group, texting, and just talking. Happily, soon Sarah moved home to Columbus, and Robby soon returned to Starkville to attend grad school at MSU. Little did Sarah know that this thoughtful, prayerful young man already knew in his heart that she was the woman he wanted to share his life with... While Sarah was away in Birmingham, Robby had been falling more and more in love with this beautiful dancer. He began praying over their relationship and seeking God's will for their future... By the fall of 2015, Sarah and Robby both knew they were ready for a deeper relationship. Robby asked Sarah out to a special dinner and shared his heart with her, and from that point their courtship began. After dating for almost 3 months, on Valentine's Day Robby collected roses, Reese's Pieces, and a wrote Sarah a love letter - and he asked her to marry him. She said yes, and they celebrated with friends and family at a surprise engagement party the same evening! The quiet beauty of the afternoon light streaming down through the trees reminded me of the light streaming through cathedral windows. I think this little spot was just waiting for Sarah and Robby to find it. Sarah had shared a touching story with me: since she and Robby didn't have much extra money to spend on going out, many times they'd make sandwiches, sit on a bench in town, and have a peanut butter and jelly sandwich date! So of course I wanted to make that precious part of their love story part of the session! So as the sun sank lower in the sky, we traveled back to Columbus for a few late evening portraits on the Riverwalk. And a couple of peanut butter and jelly sandwiches. <3 Sarah and Robby's love story is best summed up in their own words: "Since November 20, the day we started dating, we both knew we were going to get married, and God has continually showed up with His grace, mercy, and love as Robby and I embark on this journey. Neither of us had ever dated before, so everything is new, and sometimes scary, but God is always with us. He has lavished His goodness on us, and continually takes us deeper and deeper into His heart and His love. We are ever aware of our need of a Savior, and extremely thankful for His forgiveness. We're so grateful we can now pursue the heart of God together as a couple." Sarah and Robby, Jonathan and I couldn't be happier for you two, and we are so excited to witness you two say "I do" this Saturday! Thank you for inviting us to help you celebrate the beginning of your lives together husband and wife! Caryn Amaris Photography is LIVE!